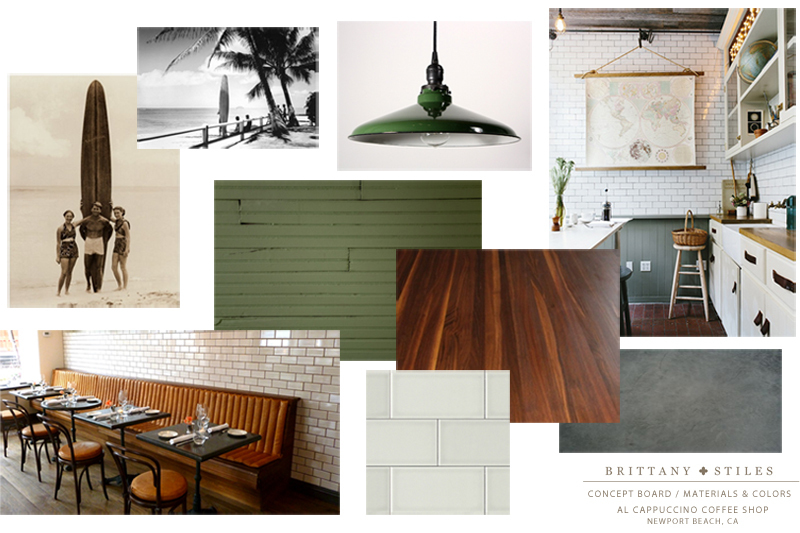 As part of a proposal for a Newport Beach coffee shop, I included a quick digital concept board and concept space plan to help ensure that the owner and I are on the same page. 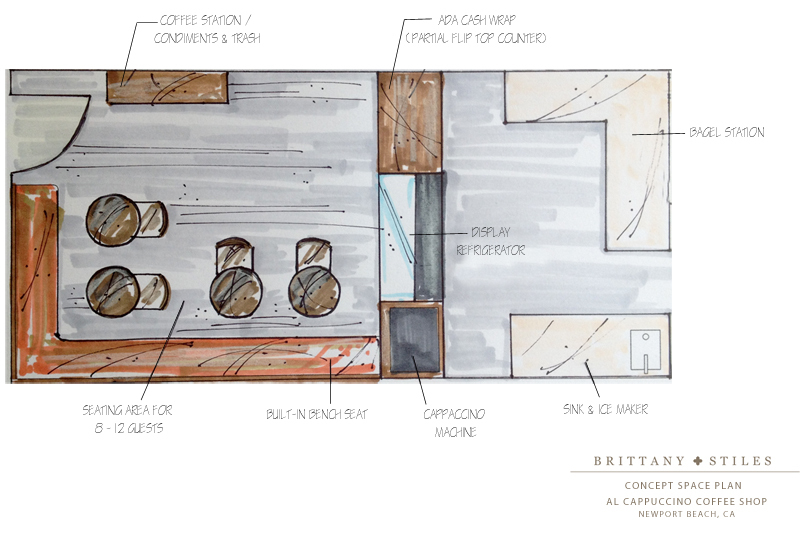 This is by no means the final design, but it's helpful to provide potential clients with a taste of what they can expect from the design process so that they get a feel for my aesthetic and ideas particular to their space. It can also give them a little more confidence in handing over the reigns of the project. I really love designing small retail/commercial spaces; it's sort of where my world of residential interior design and visual merchandising collide. The goal for this space is to turn it into a beach friendly, modern coffee shop where old and young, surf bum and surf sophisticate, male and female can all enjoy a local cup of jo on their way to work or surf. Goodness, you'll have to let us know when it is done. Next time I'm in Newport Beach, I'll make a special stop because if this space were in Oakland, I'd go every single day. Gorgeous choices! I LOVE the green. Wow! The idea is so amazing! Yes it is inspirational idea indeed. I'm lovin it.